After Valentine's Day we have a bit of a gap until St Patrick's Day on 17th March. We don't have to create lots of special St Patrick's Day themed baskets as the majority of our food is sourced from around Ireland anyway. We can instead just pick a few bestsellers to include in the range. These tend to include teams ones perfect for sharing as they tend to be sent to companies or groups. Following St Patrick's Day comes Mother's Day, which is a really busy time for us. We are currently designing & photographing the 2014 range, but with over 12 years experience we tend to know what the mums out there appreciate by now. 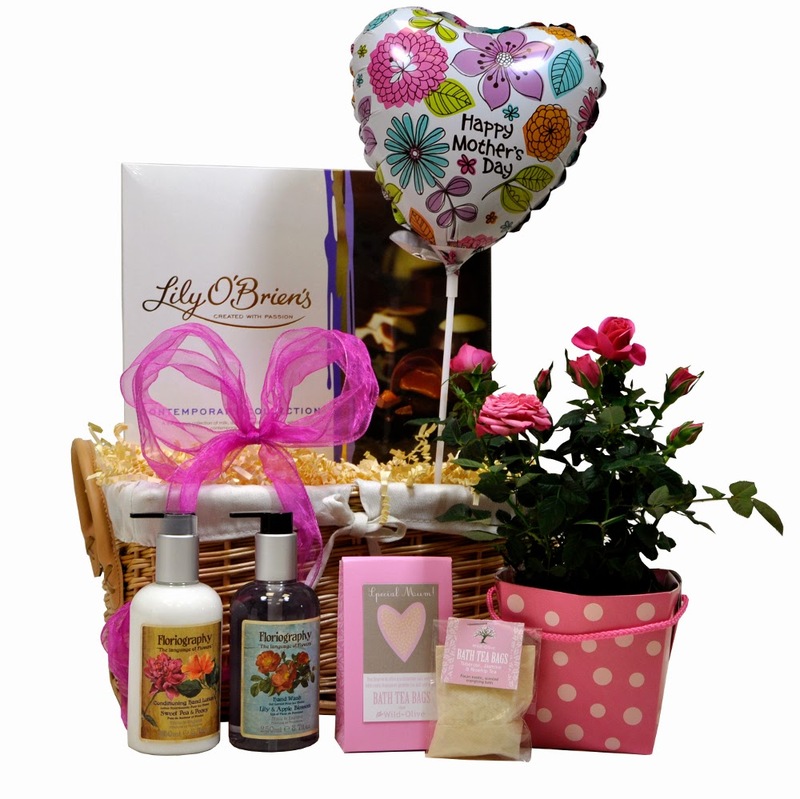 Flowering plants, hand creams, chocolates and cakes go down a storm and then we theme the baskets with mum mugs, gift cards and balloons to add to the overall Mother's Day package. Mothering Sunday falls on 30th March this year, but as the couriers don't deliver at weekends we suggest delivery on the Friday before (28th March). You've got plenty of time to place your order, as we deliver on a next day basis throughout Ireland. After Mother's Day there isn't too long until Easter. Easter is another busy occasion for us as gift baskets make perfect Easter presents. 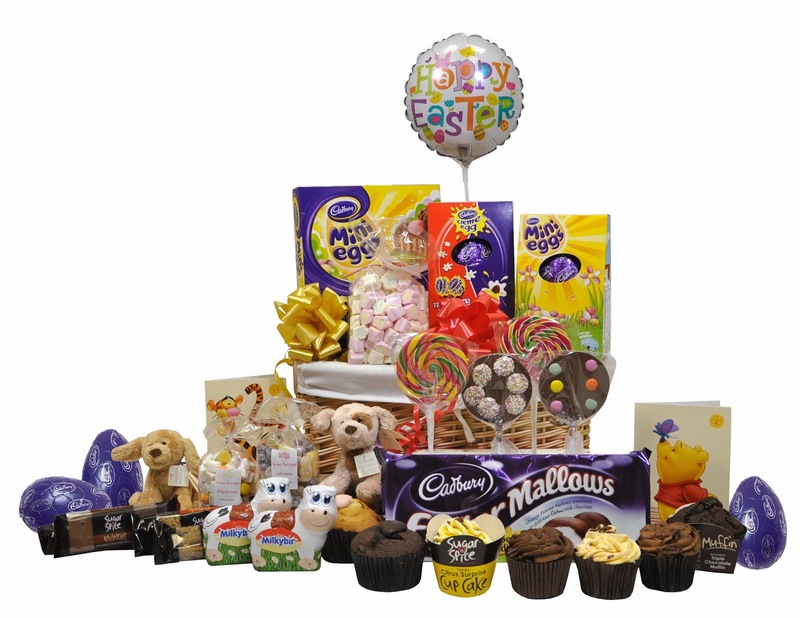 We specialise in Easter Gift Baskets for children, but also include a few for older recipients like students studying abroad or for families to share together. Baked goods, Easter Eggs, Candy and Easter bunnies typically go into this range. They are again themed with cards, balloons and gift wrap. 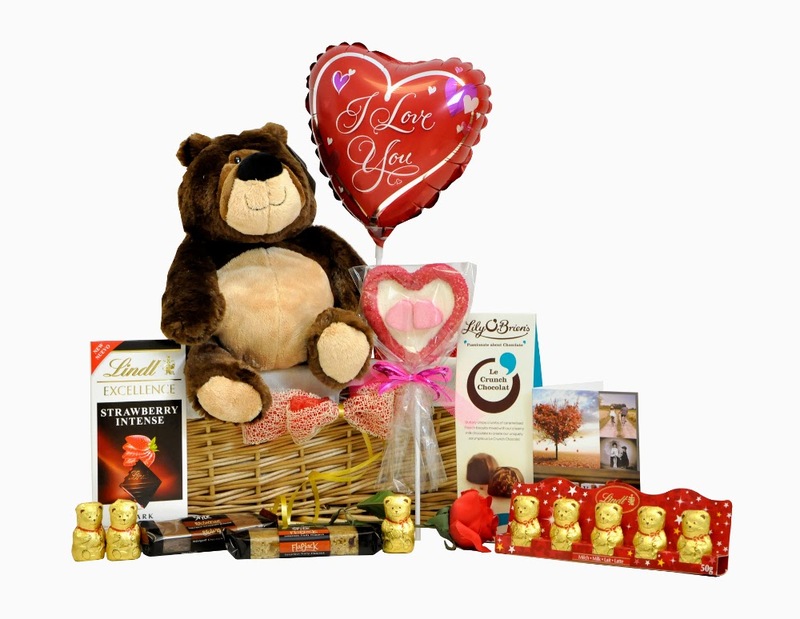 So as you can see being a gift hamper and basket company keeps us busy all year round, not just at Christmas, so don't forget to look us up on these other gift giving occasions - we're always happy to help!